At Tropolis Group LLC dba ShipTropolis (“ShipTropolis”) we are sensitive to your privacy concerns, and are committed to letting you know what information we collect about you, how the information is being used and what choices you have regarding the collection and use of the information gathered as a result of using ShipTropolis’ websites located at www.tropolisgroup.com and www.ShipTropolis.com (the “Sites”). Please take a moment to review this Privacy Statement (“Policy”). This Privacy Statement is only applicable to these Sites, and not to any other websites that you may be able to access from these Sites, each of which may have data collection and use practices and policies that differ materially from this Privacy Statement. • Information you provide us when you apply for a job with ShipTropolis. 1. Email Opt-out Options: Each marketing e-mail we send includes instructions and an opt-out link. 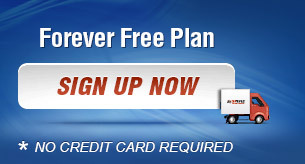 Alternatively, you may opt out by calling our Customer Care Center toll-free at (800) 932-0271 . You may exercise this opt out choice at any time. We restrict access to nonpublic Personal Information about you or your children to those of our employees who need to know that information in order to provide products to you. We maintain physical, electronic, and procedural safeguards designed to protect your nonpublic Personal Information. ShipTropolis protects your information over the Internet by using a secure web server, which allows web browser programs (such as Microsoft Internet Explorer) to interact with our web server via an encrypted session. We employ a Secure Sockets Layer (SSL) connection that provides an encrypted connection between your computer and ShipTropolis. The 128 bit encrypted connection scrambles ordinary text or data into cyphertext to safeguard sensitive information during its journey across the Internet. The information is decrypted, or put back into a readable format, when it reaches its intended destination. Depending on which browser you use, you will know you are in secured area by “https” or a lock appearing in the lower right hand corner of your browser window. When you visit our Sites, you may move in and out of secured areas. Any time that you are on an order page or viewing your personal credit report, you will be in a secured area.